I’m so happy to welcome Author Tricia Drammeh as my first guest. 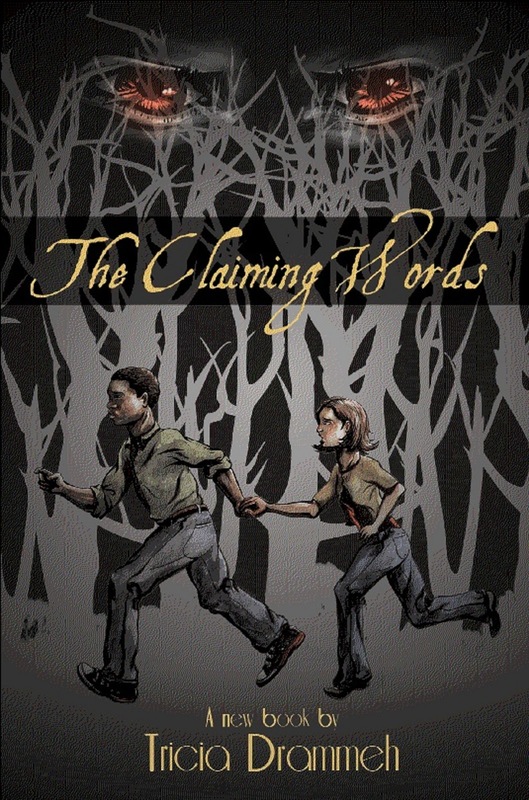 Tricia’s debut novel, The Claiming Words, will launch on October 6th by Iconic Publishing. Hello, Tricia! How long have you been writing, and how did you start? I began writing The Claiming Words about two years ago. It was my first full-length novel. Prior to that, I wrote some poetry during my teenage years, and even tried to write a novel a few years ago, but it was really bad, and I never finished it. How did I start? It was a totally spontaneous thing. I didn’t even expect to finish, so I was as surprised as anyone when I completed The Claiming Words. Okay, I’m going to want to know how you got the idea for The Claiming Words, but we’ll save that for another interrogation. I mean interview. How would you describe your book in a tweet? (140 characters or less. )When Rachel and Alisa fall for the same guy, the girls form an enduring friendship that surprises them both. Excellent. You did that in 108 characters, by my count. I’m impressed. Do you outline or write by the seat of your pants? Oh, I’m a total pantser. My stories usually begin with an imaginary friend who whispers in my ear until I agree to tell his or her story. I meander along, letting my plot form haphazardly until my inner accountant kicks in and forces me to outline the story on a spreadsheet. Needless to say, there’s a lot of rewriting involved in order to whip the first draft into something readable. How many imaginary friends do you have? When do they talk to you? I have tons of imaginary friends, or at least I used to. Lately, they’ve become imaginary acquaintances or imaginary grudge-holders. They used to talk to me all the time, but they’ve been strangely silent the last few months. I think it’s because I haven’t spent enough time with them and they’re making me work to rebuild our relationship. One of my imaginary friends has been speaking to me lately, so I might see if he can talk to the others and put in a good word for me. I think your imaginary friends know my imaginary friends. Maybe they’re partying without us. While they’re away, we can talk about them. Which character did you most enjoy writing? The character I enjoyed writing the most was Mordecai. He doesn’t have a huge part in The Claiming Words, but we see more from him later on. He’s got a sarcastic sense of humor and is deliciously evil. I love all my bad guys. Bad guys are fun to write. I know you’re not a bad guy, but are you like any of your characters? How so? Out of all my characters, I’m most like Alisa. In high school, I was always shy and afraid to draw attention to myself. I was never the smartest, or the best at anything, and like Alisa, I longed to possess some amazing talent or quality that made me special. I think that’s why readers really connect with Alisa, because we’ve all felt like an outsider. We’ve all wished we could be someone else. I hear you, sister. Alisas of the world unite! If you could be one of your characters, which one would you choose?My other main character, Rachel, is the girl I always wished I could be. She’s smart, popular, athletic—everything Alisa wishes she could be. Isn’t that one of the best things about writing? I like what F. Scott Fitzgerald said: “Writers aren't people exactly. Or, if they're any good, they're a whole lot of people trying so hard to be one person.” He would have been a fun person with whom to have a conversation. Which author would you most like to invite to dinner and what would you fix me? I mean, him. Or her. I would definitely invite the brilliant author, Amy Metz to dinner. Don’t worry, Amy. I’m taking you out to a nice restaurant on Main Street in St Charles. I would never, ever subject you to my cooking. After all, you have sequels to finish, and if you eat my cooking, you might not survive to finish your series. Or I might treat you to a fine meal at Slick & Junebug’s Diner in Goose Pimple Junction. I heard their pie is to die for. Aw shucks, ma’am. I’d love to go to dinner with you anywhere you pick, but besides me, what author would you take to dinner? And yes, I realize this violates my eight questions rule. I'd like to take Rick Riordan out to dinner too. I owe him a great big thank-you because his Percy Jackson books transformed my son from 'the boy who won't read' to 'the boy who won't put his book down.' Now, that's magic! Sounds great. Maybe we could all go out together…And I owe you a great big thank you, Tricia, for being my first interviewee. I wish you great success on your novel. 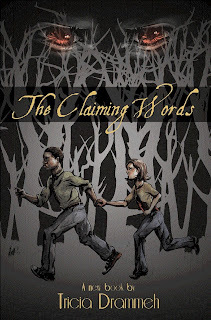 Readers, please check out Tricia’s blog and website, and of course, her book, The Claiming Words. I highly recommend anything by Tricia Drammeh. Stop back by this blog during the first week of October for a week-long Tricia-fest to celebrate her launch.